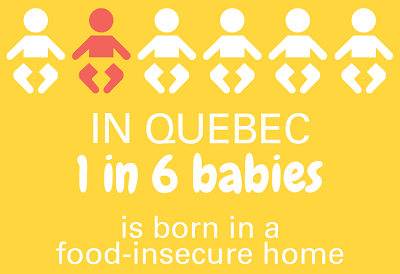 In Quebec, 1 in 6 babies is born in a food-insecure home. Expectant mothers in these situations often do not have access to appropriate or sufficient food during pregnancy. ​Fondation OLO takes action early on in children’s lives to give them an equal chance of being born and growing up healthy, despite the difficult life conditions they are born into. We help pregnant women in need to eat well during pregnancy, to help ensure their baby is born healthy. 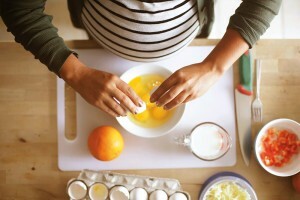 In concert with professionals in the field, we provide personalized follow-up care and direct assistance by providing food vouchers for OLO foods (one egg, 1 litre of milk and 125 ml of orange juice per day) as well as prenatal vitamins. This is a winning combination for the baby’s growth. We coach parents to promote healthy eating habits early on in their child’s life. Eating habits are learned in early childhood. As part of the OLO follow-up care, families receive various educational tools and professional advice to acquire the skills they need to develop healthy eating habits. We also aim to empower parents to take action so their child develops healthy eating behaviours. 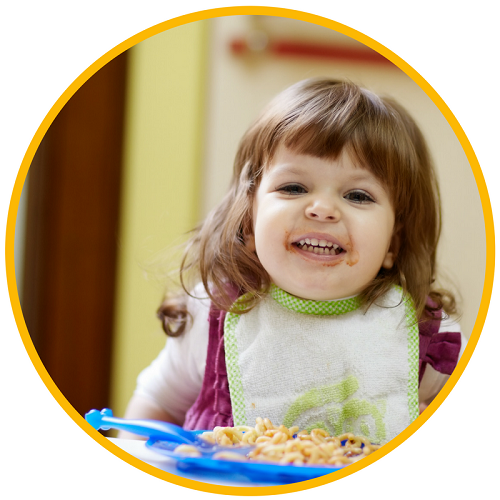 This two-part support allows us to achieve the desired results: babies who are born healthy and with a sufficient birth weight, and new parents who can act as role models so their child develops healthy eating habits early on in life.